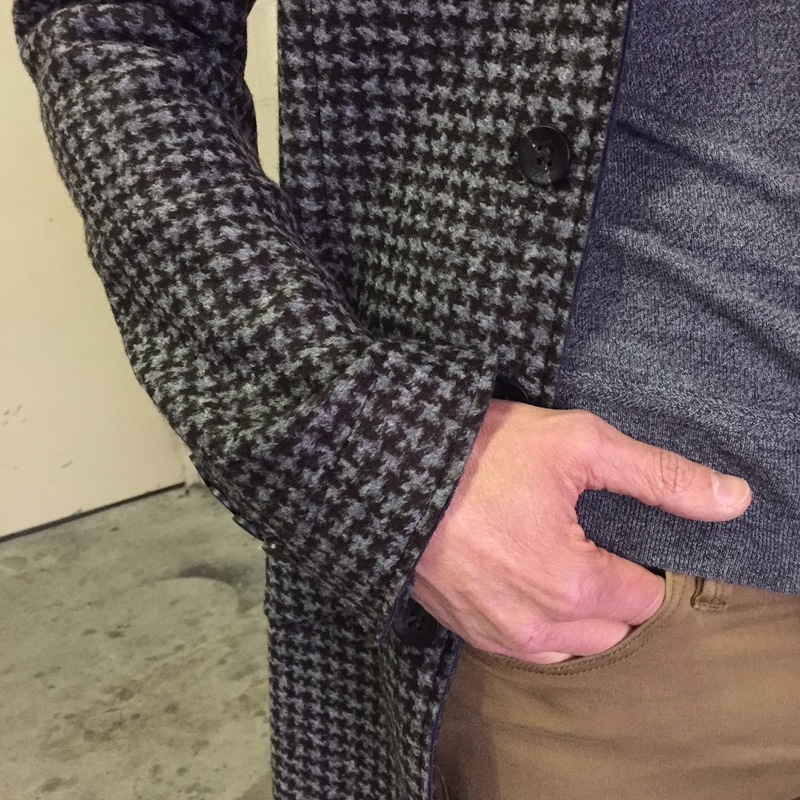 A knit mid-scale houndstooth topcoat, made in Italy by Masons. Comfortable and easily layered over this zip-front PYA marle knit. 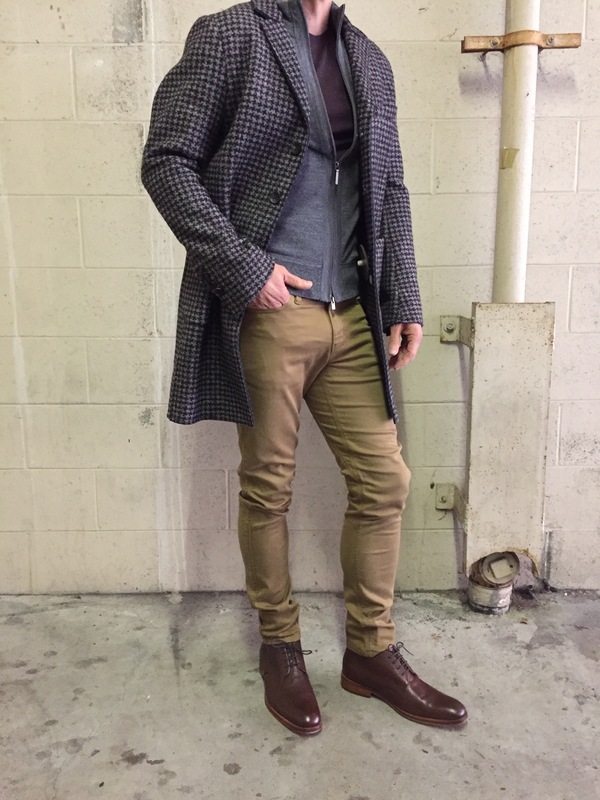 Pair it up with the new “No -Sweat” slim fit super-stretch 5-pocket pants from Vancouver’s own DU/ER label. 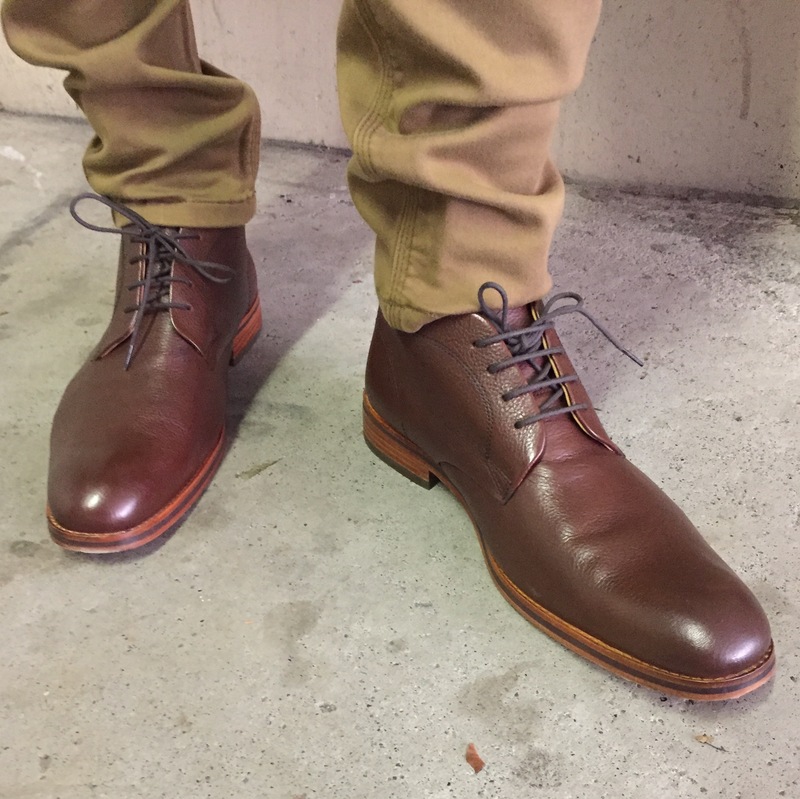 Top this look off with a pair of mahogany pebble grain calfskin desert boots from London’s H by Hudson.